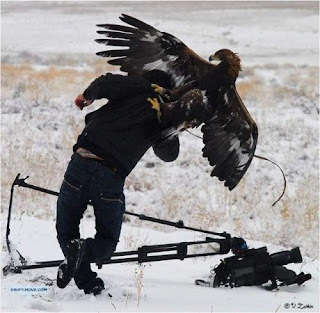 This photographer must have really ticked this eagle off. Join me in mourning the fall of that camera. YIKES!